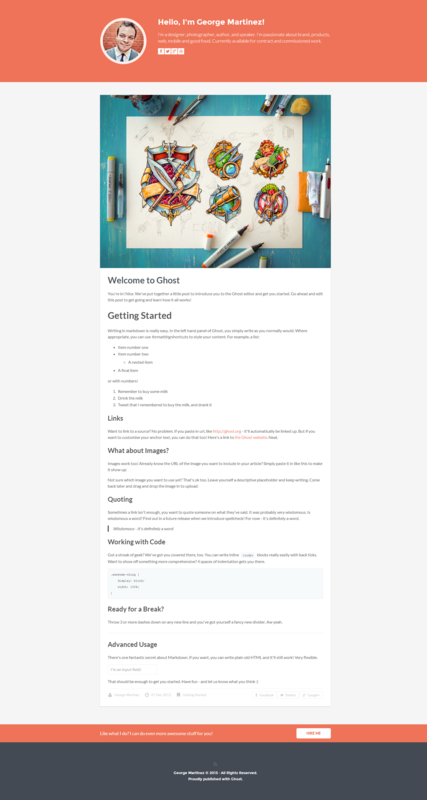 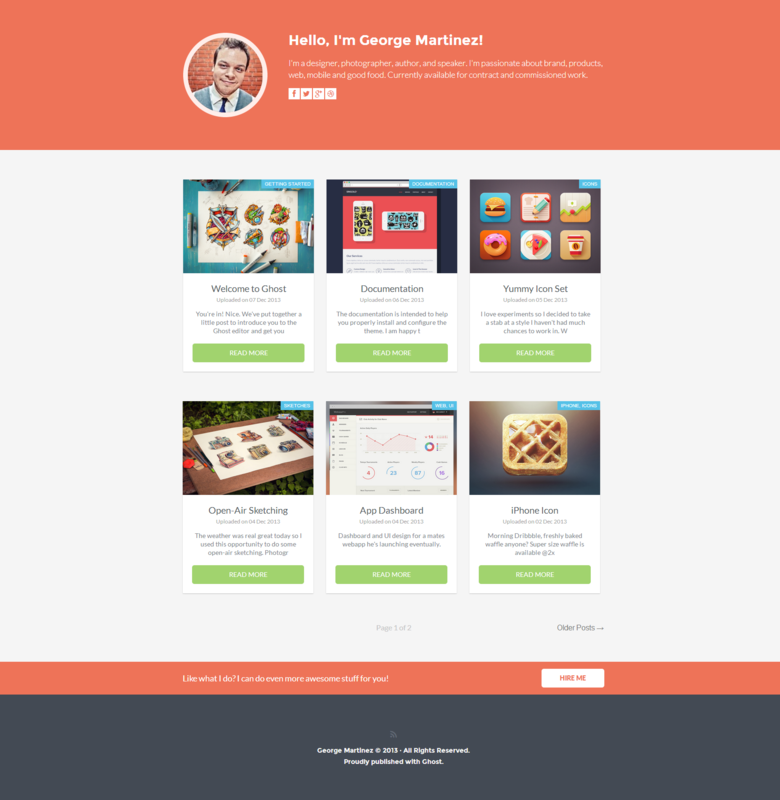 Featured is a fully responsive portfolio Ghost theme to build awesome showcases of your work. 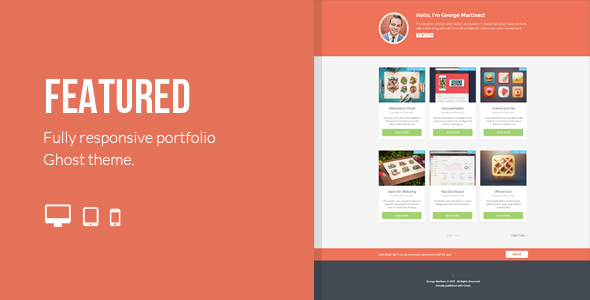 It not only allows you to build your online portfolio quick and easy, but also lets people who like your work hire you. 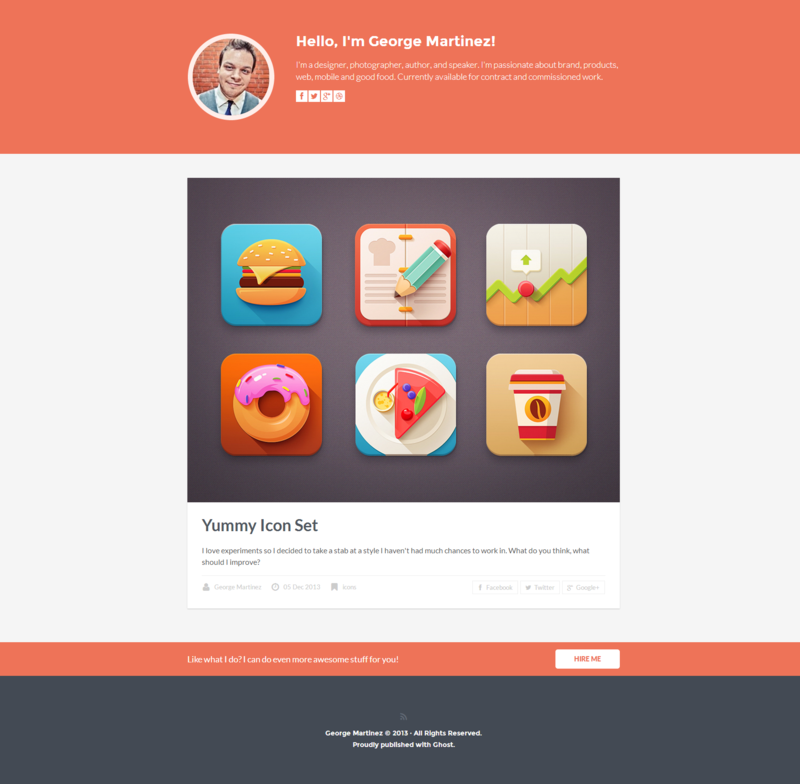 Demo Images From Dribbble: Cuberto, Mike | Creative Mints, Mike | Creative Mints, Ben Garratt, Eddie Lobanovskiy, Mike | Creative Mints, Artua Design Agency, Román Jusdado, MVBen, Eddie Lobanovskiy, Cuberto, Marijan Petrovski.